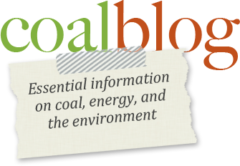 Editor’s note: Dr. Brauer presented information on the Richland Community College / Illinois – Industry Carbon Capture and Storage project in the ACC’s May 15th Coal Q&A webcast. Dr Brauer’s presentation was titled “Carbon (Dioxide) Capture and Storage – Public Acceptance 101.” The PowerPoint slides and audio recording of the webcast are available to ACC members in the member section of the ACC website. This article provides further information on the methods used to obtain public support for the IL-ICCS project. Background: Richland Community College is currently engaged in the USA Department of Energy project “Illinois-Industry Carbon Capture and Storage” (IL-ICCS), which is to demonstrate the viability and effectiveness of commercial-scale carbon capture, utilization, and storage (CCUS). This project began in June 2010 with a project team of four partners selected by the U.S. Department of Energy—National Energy Technology Laboratory (DOE-NETL). These partners include: Archer Daniels Midland Company (ADM), serving as the IL-ICCS principal investigator; Schlumberger Carbon Services; University of Illinois at Urbana-Champaign–Illinois State Geological Survey Division; and Richland Community College (RCC). The participation of RCC enabled the project to leverage its educational mission and its relationship with the Decatur, Illinois, region to facilitate the offering of education and outreach for local, regional, and international K-12, higher education, professional, and community audiences. The $208,000,000 IL-ICCS project began with the intention to capture and store more than 2.5 million metric tons of carbon dioxide (CO2) over three years. As a technology demonstration project, the IL-ICCS reflects commercial-scale CCUS by capturing CO2 emissions produced as a byproduct of ethanol production at the ADM Decatur, Illinois, USA, facility and storing them deep underground in a saline-rich sandstone geologic environment. This project is unique in its: 1) link to ethanol production, 2) being the only DOE-NETL ongoing North America geological sequestration project, and 3) being a globally recognized “successful“ CCS commercial-scale demonstration project. In concert with this, the ongoing community education and outreach activities conducted by RCC have successfully engaged the public to a wide-spread understanding that CCUS technologies safely reflect the best interests of the community. The IL-ICCS project was the follow-on to the Illinois Basin Decatur Project (IBDP), which provided a research-oriented focus for CCS. The IBDP completed 1 million metric tons of CO2 CCS in 2014 resulting from ADM’s ethanol production process and its sequestration to the same geological structure and depth as the IL-ICCS. As a follow-on to the IBDP, the IL-ICCS project included the construction and operation of a collection, compression, and dehydration facility, commercialization-scale, capable of delivering up to 3,000 metric tons per day of CO2 via pipeline to the injection and sequestration site. The project is designed to capture 1 million metric tons of CO2 annually and store it approximately 7,000 feet underground in the Mount Simon Sandstone formation. Delays in U.S. Environmental Protection Agency approvals for the Class VI injection well design have altered the IL-ICCS injection schedule, which will now begin in the second half of 2015 and continue into 2017. Of strategic significance is that the RCC main campus is adjacent to the ADM facility participating in the project. By default RCC became engaged in the project early as the targeted CO2 injection pore space exists beneath the RCC campus. This required RCC to do its due diligence in researching the CCS technology from an application, legal, environmental, economic development, and educational perspective to determine the position the College should take regarding the the project. Interesting, but not surprising, was the general lack of appreciation by the project partners regarding the overall impact of RCC taking a position on the technology and project, and the subsequent community acceptance of the IL-ICCS project. If RCC would have said that IL-ICCS was not good for the community, the community pushback resulting from the project moving forward would have been significant. Richland Project Role: To facilitate CCUS education and outreach as part of Richland’s role in this partnership, Richland established and constructed the iconic National Sequestration Education Center (NSEC) on Richland’s campus in the Richland Agribusiness Applied Technology Park. The NSEC is a local, regional, national, and international focal point for CCUS community outreach and education by providing an innovative experiential learning and knowledge transfer environment. The NSEC provides unique educational value to students, researchers, and visitors from around the world by experiencing the CCS technologies demonstrated on the RCC campus. Key to the RCC role was the community connection and translating the IL-ICCS technologies to something tangible that the community could understand and “touch and feel.“ The fact that one cannot see CO2 or get close to the underground sequestration location creates a huge barrier for community embracement of the project. Making the technology “real“ for the community is critical. So, a couple community contact messages hurdled the conceptual barriers. First, in this project RCC is engaged in a DOE-NETL sponsored activity that will inject up to 3.6 million metric tons of CO2 – roughly the same amount generated by more than 650,000 passenger vehicles in a year. Second, the IL-ICCS project leverages the mission of RCC to facilitate the offering of unique educational and outreach activities for K-12, higher education, professional, and community audiences. Third, the IL-ICCS and IBDP has enabled Decatur to be recognized as a global leader in the emerging CCUS industry. And, fourth, CCS represents just part of an overall global total solution and strategy for reducing CO2 emissions. The RCC educational mission enabled the effective and multi-audience message that it is expected that CCUS practices will become part of a broader range of environmental improvement strategies that may include more efficient energy use, reducing methane and nitrous oxide emissions, and increasing the use of renewable or alternative sources of energy. Community Acceptance Issues: The international awareness of global warming concerns creates unique issues of societal acceptance of technologies that promote environmental sustainability. This creates unique opportunities for partnerships between higher education, business/industry, and communities to positively sculpt public perception of a project’s environmental impact and gain the public trust in its conduct. The need for collaborative partnerships is heightened with the potential confusion between multiple technologies perceived in societal circles as having similar potentially negative sustainability impacts (e.g., hydraulic fracturing, or fracking, seismic events, and CCUS). In embarking on this project, a psychodynamic strategic perspective was taken to guide the College in its approach to communication, education, and outreach for the project. This involved understanding the local and regional stakeholder personalities to mold the way we would do things, what we would do, and where we would be heading. The scientific and technical nature of this project necessarily provided a need to understand and leverage local and regional demographics, culture, and the existing college/community trust relationship in establishing an aggressive outreach and education activity. A team, or group, effectiveness theoretical construct was applied to facilitate the development and implementation of “communication” and “outreach” tactical strategies to increase the likelihood of CCUS acceptance by our regional community partners. Typically, team effectiveness models have displayed two common traits (Shaw, 1976). First, they highlight the issues of process and outcome (i.e., how a group becomes productive and what a group produces). Second, they highlight organizational or environmental parameters, and the collective group. It was reasonably accepted that the behavior of individual community stakeholders could enhance or impede overall project effectiveness. Interpersonal conflicts, poor communication, lack of project team cohesiveness and disagreement over goals, etc. have been recognized as some of the behavioral consequences of dysfunctional team member behavior (Reilly, Lynn, & Aronson, 2002). From this, it became self-evident that the behavioral predispositions of project team members and community stakeholders warranted close attention and management as they would play a major role in the effectiveness, or success, of the overall CCUS project. The need for IL-ICCS project effectiveness and community acceptance is reflected in the guidebook: BEST PRACTICES for: Public Outreach and Education for Carbon Storage Projects (DOE-NETL, 2013). Delineated within are ten best practices of which number four is key. At the end of the day “trust”… is everything. This is critical for every community in accepting new and innovative ideas, but, particularly, with accepting new and innovative technologies such as CCUS. Two constructs were leveraged in getting “trust” as the foundation for a working community-wide team: 1) Basic Assumption Theory and 2) Two-Factor Theory. Basic Assumption Theory (Bion, 1961) is globally recognized as seminal to understanding psychodynamic considerations for the “working team” and the awareness it takes to avoid a “nonworking team” state. This theory focuses attention on team effectiveness as a collective function of individual team members. The key here is that it provides insight to team composition (i.e., who should be involved to create a working team) to effectively complete a task, which for IL-ICCS is broad community (societal) acceptance. The intent was to understand not only the project team members, but also the broader community stakeholder-base that would be concerned with technology’s presence in the region. Aligned with this was the delivery and frequency of the message to the community stakeholder-base. The global push-back on CCS technologies is well-documented. However, with IL-ICCS the “trust“ relationship that RCC has with the communities it serves has facilitated the societal acceptance of CCUS. Project Outcomes: The uniqueness of this project to include a community college (i.e., RCC) has resulted in: 1) the establishment of a global educational center (i.e., the NSEC) with close proximity to two CCUS projects; 2) the creation of the world’s first CCUS community college Associate of Science and Associate of Applied Science degrees; and 3) the delivery of CCUS educational outreach activities to over 3,400,000 people since 2011. The community acceptance and engagement demonstrated in this project has resulted in over 900 domestic jobs, including 250 local jobs and the creation of over 10 permanent jobs. The local economic impact is estimated to be over $30,000,000. However, more importantly this project has transitioned research to commercial demonstration advancing national and global practices and policy regarding CCUS, and it has become a global centerpiece for CCUS research, economic, and educational value. Bion, W. R. (1961) Experiences in groups and other papers. New York: Basic Books. Shaw, M. E. (1976). Group dynamics: The psychology of small group behavior (2nd ed.). New York: McGraw-Hill. Stang, David J. (1975). Effects of “Mere Exposure” on Learning and Affect. Journal of Personality and Social Psychology, Vol. 31, No. 1, 7-12. U.S. Dept of Energy, National Energy Technology Laboratory (2013). BEST PRACTICES for:Public Outreach and Education for Carbon Storage Projects.